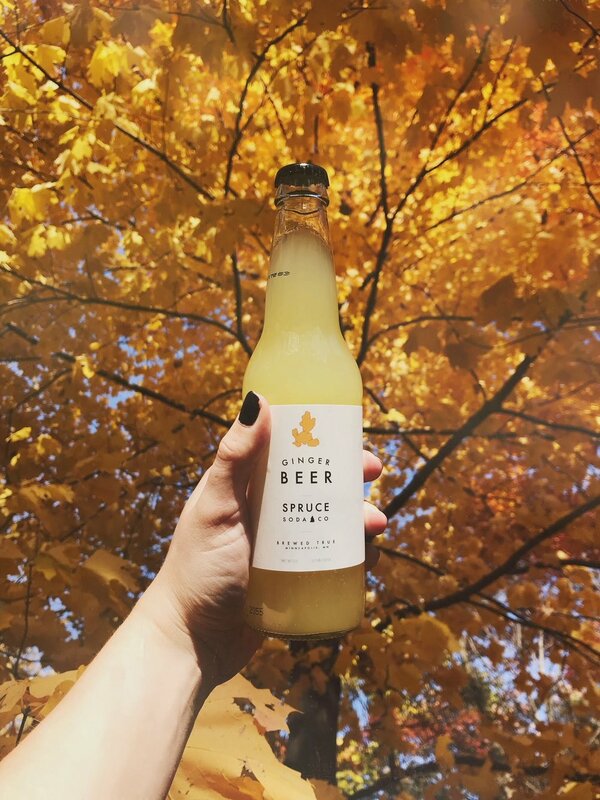 Sodas — Spruce Soda Co.
Clear, crisp and refreshing, our ginger beer is homemade with top quality lemon and ginger before fermenting for three days with ale yeast. Turn the bottle upside down before drinking to make sure every drop of ginger is enjoyed. Made with fresh citrus and natural botanicals, our Tonic is crisp, tart, and refreshing. Drink on its own, or use as a mixer! We recommend Gin + Tonic made with Norseman Gin. A recipe can be found on the bottle! Complex but not too sweet, our hopped cola is brewed with over 15 different spices and botanicals including beer hops to give a little added kick. Drink it on ice on a hot summer day or mix it with rum for a botanical rum & coke. This soda has rich flavors of organic blueberry, cut with the tartness of lemon, and followed by a smooth juniper finish, with just a hint of cinnamon. Like all our sodas, this soda has a short list of simple, quality and flavorful ingredients. Pairs well with tequila or as a family friendly non-alcoholic beverage on its own. Our sparkling water is clean and refreshing. Flowing down from the great lakes region of the northern United States, this spring water is purified, and carbonated.